Durable natural-cork bulletin bar creates tackable display surface for securing documents, presentations and displays. Self-healing surface eliminates unsightly pin holes. Connect multiple bars together to create a customized display area. 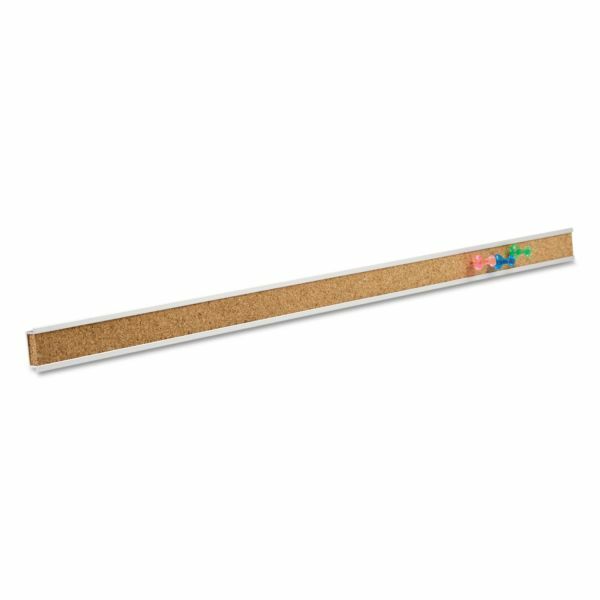 Aluminum - 24" x 1"
Quartet Bulletin Bar I Natural Cork Bulletin, 48 x 1, Brown, Silver Aluminum Frame - Natural, self-sealing cork strip features an anodized aluminum frame. Bulletin Bar includes double-sided tape and magnetic strips for easy mounting to most surfaces. Pushpins are also included. Smooth, anodized aluminum surrounds the cork to enhance modern interiors.